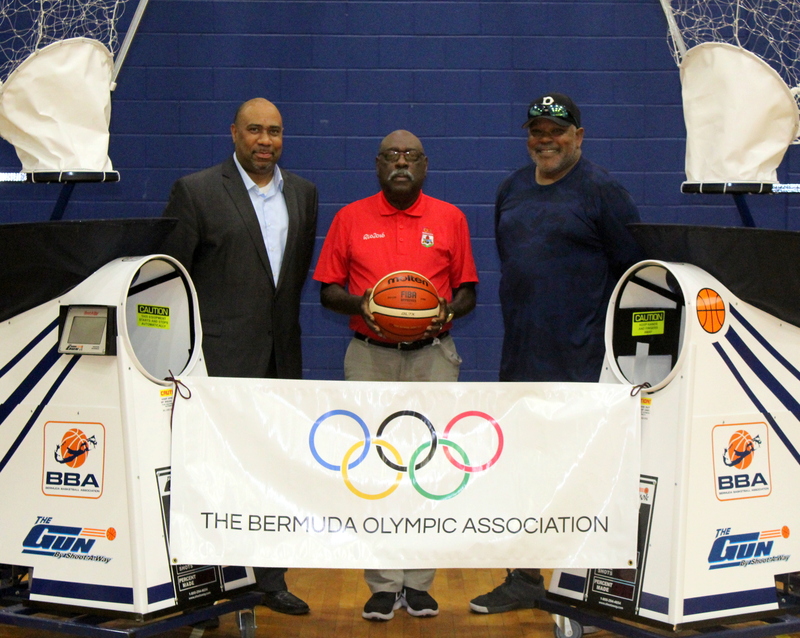 The Bermuda Olympic Association (BOA) along with PASO have helped the Bermuda Basketball Association (BBA) purchase some equipment. Through the funding programme the BBA were able to purchase two Bison T-Rex Portable Basketball Systems, two Shoot-A-Way – Shooter Basketball Training Systems and a total of 60 FIBA Official Basketballs. The Bison T-Rex Portable Basketball Systems will be used for outdoor games focus on 3 on 3 basketball games and any other basketball games for outdoors. The Shoot-A-Way – Shooter Basketball Training Systems will see the BBA Men’s/Women’s/ Youth National teams use this state of art shooting system preparation for international competition. Currently, the Men’s National team have used for Shooter Training System in preparation for the CBC-FIBA 2021 Pre–qualifying tournament games going on in Suriname. The BBA has Basketballs for training and games for all levels of their basketball programs: 36 FiBA Official indoor basketballs for use by Men’s National Team, Women’s Team, 3 on 3 leagues and Youth National Teams. 24 FIBA indoor/outdoor basketballs for use by the 3 on 3 leagues, Youth Camps/Programs and Domestic leagues.